Bruxism | Smile Angels of Beverly Hills - Bruce Vafa DDS. 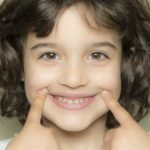 The good news is most children outgrow bruxism. The grinding gets less between the ages 6-9 and children tend to stop grinding between ages 9-12. If you suspect bruxism, discuss this with us . Because every child is different, we have a wide range of choices to help a child complete needed dental treatment. We will make a recommendation of behavior management methods for your child based upon your child’s health history, special health needs, dental needs, type of treatment required, emotional and intellectual development, and your parental preferences. 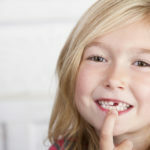 To be a well-informed parent, you should know the choices available to help your child during dental treatment. Working together, we can select the best treatment methods to make your child’s visit as safe and comfortable as possible. Distraction: In this technique, the pediatric dental teams choose their treatment words carefully, pass instruments out of the child’s sight, and occasionally distract the child’s attention away from the treatment with conversation, music, or games. Voice Control: The pediatric dental team changes voice tone or volume to calm a child or get a child’s attention. Typically, we speak in a soft, controlled tone and repeat messages as necessary. We may occasionally use a loud tone to discourage disruptive behavior or movements that can pose a risk to the child, such as reaching for a sharp instrument. If’ you are not comfortable with the use of voice control with your child, then you should certainly speak to us about the issue.